Last week i popped down to London as I had an interview of a placement/internship while i was there i took full opportunity to go shopping :D oh and meet up with my old flat mates !! I stayed at Ian's house the night before as he was kind enough to led me his sofa for the night and then the next day after my interview i sent the day with Bethan ( I used to live with them both in halls when i was at LCF). 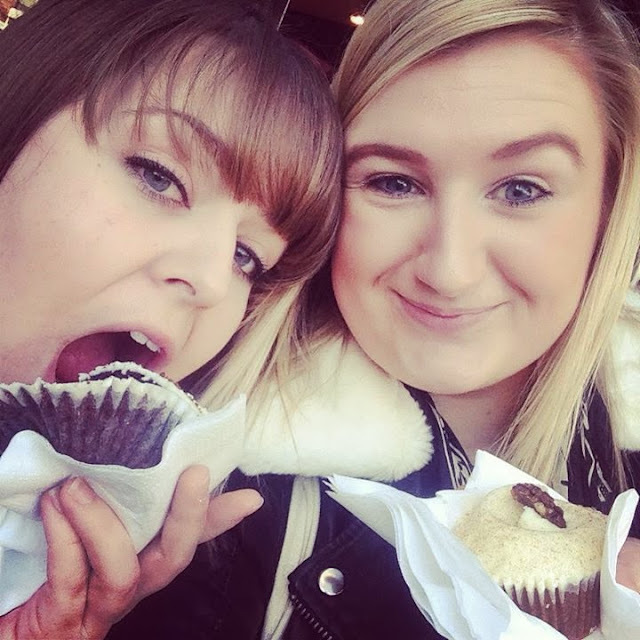 So yeah I met Bethan down Portobello Road as we just HAD to go for a hummingbirds cupcake, they are our favourite favourite thing and one of the things we miss the most about London ;). We then spent the day in and out of shops mainly in the carnally street area and the in to Selfridges. We stopped for Lunch in Leon which was really good then had a glass of wine in Selfridges before we had to go our separate ways. I really enjoyed seeing my friends and hopefully i will get to see more of them in the near future .. so heres what i bought! Not going in to too much detail as i need to stop rambling on! I love the fun carrier bags in London, they seem to be a lot more fun and quirky ! All the beauty products I picked up.. So yes thats my little Big London haul ! I haven't visited in so long so i just had to make the most! everything is linked if you want more info. But obviously drop me a comment if you want to ask any thing :) I love receiving your comments however my blogger does not let me reply individually so i tend to leave comments in return on your own blog :) so make sure you leave your link too.